Is there a definition for chamber music? I’d probably personally put it at 8 or less people playing “classical” music together. Author MusicophilePosted on January 28, 2018 February 28, 2018 Categories *****, Baroque, Chamber Music (Baroque), Johann Sebastian Bach, MusicTags Album Review, Bach, Harmonia Mundi, Isabelle Faust, Johann Sebastian Bach, Kristian Bezuidenhout4 Comments on Isabelle Faust & Kristian Bezuidenout Play Bach Sonatas for Violin and Harpsichord – A Sheer Pleasure! While Brahms made it into the title of my blog, as he’s been historically my favorite composer, I may as well have mentioned Bach. I know I’m not very creative in my choice of composers as good old Johann Sebastian figures in so many best of composers lists, but to be fair, he’s there for a reason. Bach in a way is the founding father of modern music. Anything before him sounds if you listen to it today very “old” (take early Baroque like Monteverdi or Renaissance artists), but most stuff from Bach, if you hear it today, sounds relatively contemporary in the chord changes and harmonies. Is it because the well-tempered scale was invented around that time? Well, more scholarly minds than me have certainly spent a lot of time thinking about it. You can never have enough Bach. There is barely a month where I don’t add a new Bach album to my collection (latest additions were Claire-Marie LeGuay’s album and Pierre Hantaï’s English Suites). His St. Matthew’s and St John’s passions are a must hear every year doing the Easter period (and again, I’m not religious at all), there is no Christmas without his Oratorio, his Orchestral Suites and Brandenburg Concertos, while being the “pop” music of his time, still please after 100s of times being heard. His b-minor mass is probably the most beautiful liturgical work ever written (ok, it has serious competition, but anyhow). His sonatas for solo violin are about the only way a single violin on its own is enjoyable to listen to. And now writing about another of his solo masterpieces: the Cello Suites (BWV 1007-1012). Pablo Casals did a great job promoting them, and his recording still is a must have. Unfortunately, from a recording point of view it is really not pleasure. Now which one to choose if you want a contemporary one? A tough decision, given that pretty much every Cello player on earth has played (and often recorded) them. 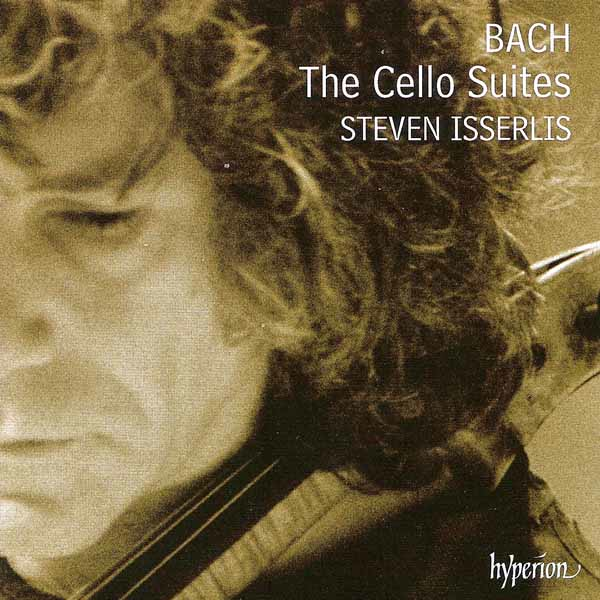 My personal favorite at this stage is Steven Isserlis 2007 recording on Hyperion. Why this out of this extensive catalogue? Well in any case there are many other beautiful versions I appreciate (Starker, Queyras, Wispelwey to name just a few), what makes Isserlis so special to me is the purity of his tone. As both the bible and the Tropicana commercial say, “nothing added, nothing taken away”. He is not excessive in his tempi or phrasing, there is very little vibrato, the sound of the cello is beautiful, clear, but not overly heavy or dark. In a way, this recording reminds me of one of those famous Japanese Zen gardens, just freshly raked. You don’t even want to touch the little pebbles, fearing to destroy the balance. This is where Isserlis takes me. EDIT: August 27, 2015: Thanks to the Gramophone Awards 2015, I finally stumbled across the recent version by David Watkin. See my entry here. 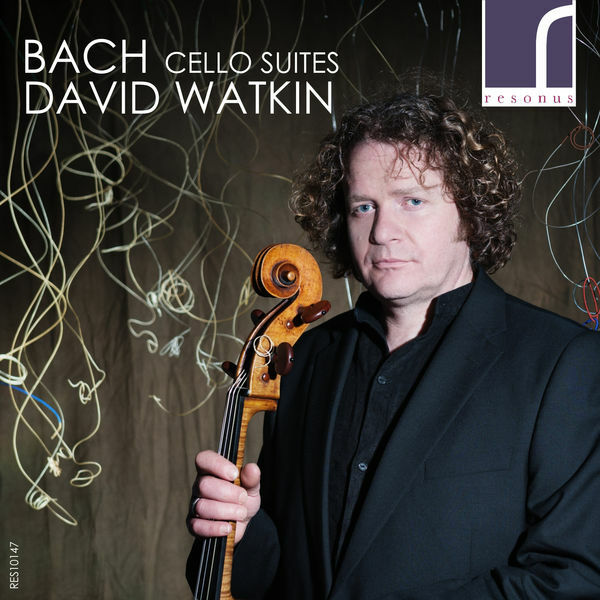 Watkins recording is a just outstanding, near-perfect version on a historic cello. I still love Isserlis, but this is even better.